Exclusive: Prophet Shepherd Bushiris life and Net Worth. Considering the fact that he is among the richest pastors in Africa and in the world with properties and investment worth millions of dollars, we decided to look into the life of the acclaimed ‘prophet’ Shepherd and his net worth. All the way from Malawi, Shepherd Bushiri started ministering in 2002 which saw him gather thousands of members to come worship in his church the ‘Enlightened Christian Gathering Church‘. Using miracles that reportedly go as far as walking on air, Bushiri’s work spread throughout the southern hemisphere and ended up opening branches in South Africa, Botswana, Zambia, Tanzania, Namibia and Ethiopia. With a net worth over $150 million, a fleet of luxury cars, mansions and private jets, the prophet also known as ‘’Major 1’’ faces a slew of negative comments and allegations that he is a religious con-artist. 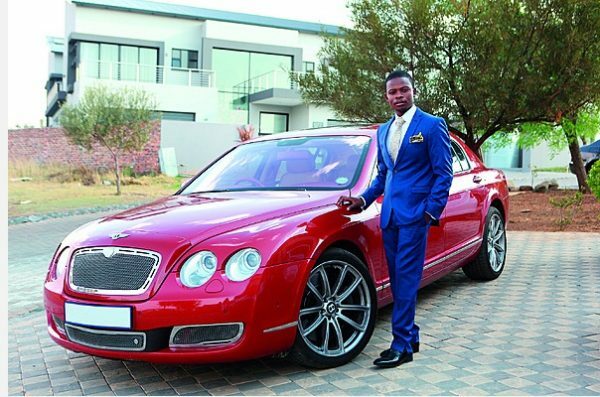 In a tell-all interview with Drum, prophet Bushiri slammed down all negative comments about how he accumulated his wealth and said:. “I’m not just a prophet,” he begins. “I’m also a human being who is a responsible person, married with kids. I am very business-minded. “For example, the Bentley I drive was bought before I came to stay in South Africa. I bought houses in South Africa way before I opened the church less than two years ago in Pretoria. “In short, I am a businessman. My wife, Mary, is a chartered accountant. She used to work for a big institution as a director of finance. I made her resign because of the business we do. ← Minister Mbalula shares a boogie with Tbo Touch! Top 3 celebrity homosexuals who slay in fashion!